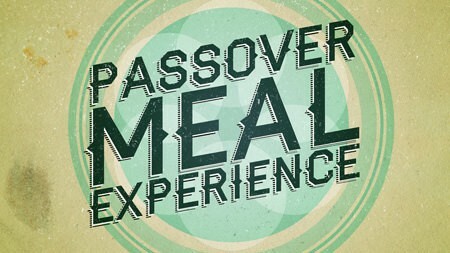 One of the most special events we ever did in my youth ministry, was celebrating a Passover meal together. One of our students was Jewish and her mom and I started talking one day about the deeper meaning of many Jewish feasts. She told me that she still celebrated Passover with her children, but in a Messianic way that put Christ front and center. I was immediately intrigued by the idea. Jewish families use a ‘Haggadah’, a booklet that is often passed down from generation to generation that describes the exact order of the Passover meal. It lists the questions the youngest child gets to ask for instance: Why is this evening other than other evenings? And it details the explanations of each element of the meal. With a lot of research and help from this student’s mom, I created a Messianic Haggadah that we could use to celebrate a Passover meal with our students. I had to find the right receipes to get all the food right, as they all symbolize an aspect of the slavery the Jewish people had to endure in Egypt. For each step, I selected worship songs that fit the passage from the Bible we had just read. And I wanted to make sure I got the deeper meaning right of each step and each element. The Passover lamb for instance, this fantastic prophetic look forward towards Jesus’ sacrifice on the cross. Or the cups of wine (grapejuice in our case), where the last one symbolizes the cup of God’s wrath. It’s poured out and not drunk, since Jesus bore God’s full wrath. We celebrated Passover with many of our students and our leaders. It blew us all away, as we understood Passover and Easter in a whole new way and saw connections we had never seen before. It was a ton of work, but it was so worth it. I’ve edited this Messianic Haggadah a bit to make it useful for other youth ministries as well and it’s available through the DYM storefor only $8. And I’ve included a guide that gives you all the information you need to organize a Passover meal yourself with your students and/or your leaders. If you’re looking for a special way to celebrate Easter this year, if you want to really focus on redemption from the Old Testament through the New, celebrate a Passover meal together.